In this Pacific Insurance Agency blog post we look at several of the most common claims, policy rating and coverage questions that routinely come up. Some are urban insurance legends, myths and more often than not – policy deficiencies! Let the insurance debunking commence! #1. Making a glass claim will increase my insurance rates? Answer – NO. If you have full glass – also known as “zero deductible” for glass claims your rates should not be impacted. However, if you claim a windshield every other month then your account may be in jeopardy for too many or high frequency of claims. The carrier may ask if you are living in a gravel pit and may ask that you remove full glass. In Arizona we replace a lot of windshields because many roads are chip-sealed with chips aka “gravel”. #2. Zillow says my home is worth $175,000. Why does my insurance company make me insure it for $225,000? Answer – Because replacement cost is not market value. The market value of your home is typically lower than the replacement cost. Generally in todays real estate market, building a brand new home out of the ground is more expensive than buying a resale home. It is our experience that when you have a total loss of a home – no one is talking about “let’s make sure we get market value” – everyone should have a “replacement cost” policy. #3. I carry uninsured motorist coverage on my auto policy. So if I get hit by someone without insurance the company will pay for my car? Answer – NO. Uninsured motorist coverage is for bodily-injury to you and your passengers. 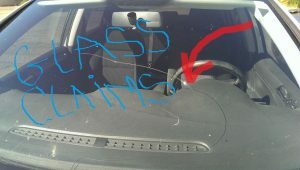 There is no compensation for damage to your car. The damage to your car may be covered under collision. #4. I just got a speeding ticket! My insurance rates are going up? Answer – Maybe. #5. All roofs under home insurance are covered for FULL REPLACEMENT COST for wind, hail, water and lightning? Answer – NO! The “roof-replacement-schedule” aka roof depreciation schedule is becoming more and more prominent with home insurance policy offerings. BEWARE! Many name brand co’s are quoting home ins with this roof schedule. For example, your roof is ripped off during a microburst and you have a roof schedule. The roof is 10 years old and its normal life is 20 years. Here’s your check for HALF! Be sure to ask your independent agent to find a home policy without a roof schedule. #6. I backed into my garage with my car! Does home insurance or car insurance cover that? Answer – Yes. Most insurance companies will assess you a deductible for the car damage with your collision coverage and another deductible for your garage damage. However, several insurance carriers now offer a single deductible for the loss (generally the higher of the two deductibles) if you bundle the home and auto. #7. 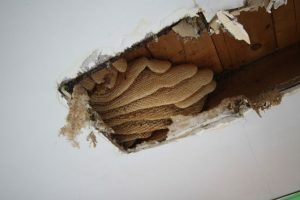 I hear a buzzing in my walls and discovered that bees have made a big hive with honeycombs and honey. My home insurance pays for the removal and cleanup? Answer – NO. Nearly all home insurance policies exclude coverage for this loss and other rodent and insect infestations. 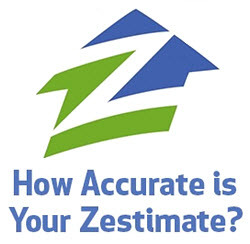 Every home ins company is different when it comes to rating for prior claims history. Some will count a “zero-pay-inquiry” as a loss that may affect the rates. This is why it is best to get estimates on smaller claims, speak with your local agent and determine if claim should be submitted. #9. I want to change my home or auto insurance to a new company. I am paid up for another few months. Won’t the company keep my money? Answer – NO. Nearly all of the time auto and home companies pro-rate any unused portion of your paid premiums back to you when you cancel. #10. Pacific Insurance Agents are local Arizonans, independent, customer focused, offer multiple carriers to find the best protection and rates, and work hard to earn and keep your trust? Answer – Absolute Fact! Don’t see an answer to your insurance question here? 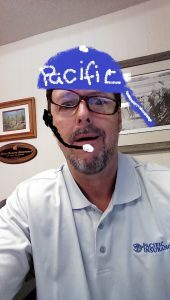 No problem, just comment or shoot us your question to john@pacins.com. Next Post: 7 Tips Your Insurance Agent or Company Hopes You NEVER Read!